This Gondolo is a direct descendant of the Chronometro Gondolo from 1925. I love the idea behind this watch (and other modern interpretations of historic watches); namely, you get the vintage look in a modern watch with all of the advantages of the latest horological technology (sapphire crystals, more refined movement materials and lubrications, etc.). This is definitely a watch whose subtleties makes it impossible to appreciate to the fullest without having it in your hands, and, better yet, strapped to your wrist. 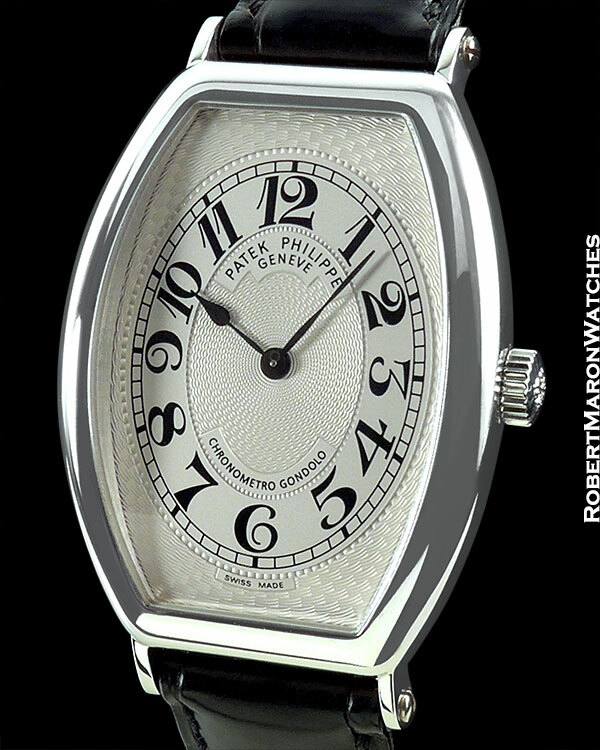 Patek spared no expense in making this a superlative quality watch, even if its style is understated. Consider that the dial is made from a slice of solid gold, finished in a silver color with hand guilloche and thickly painted Breguet numerals. 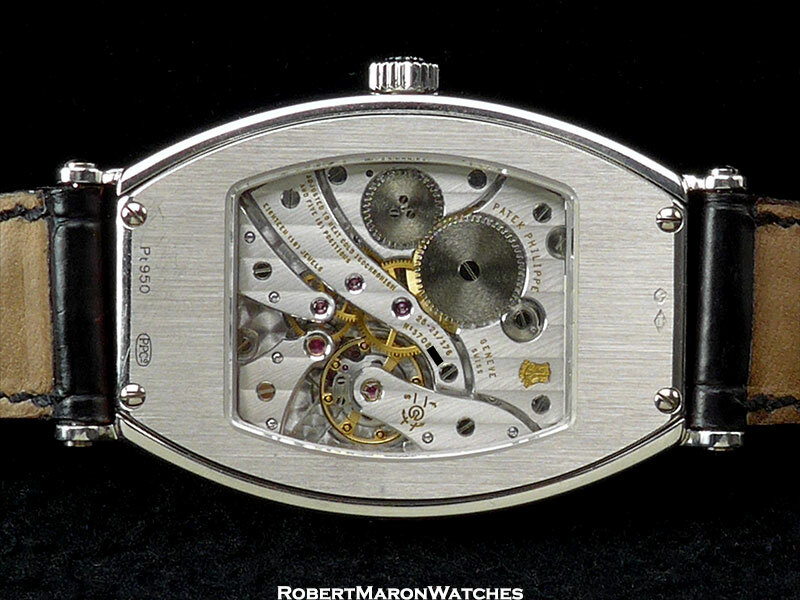 The Caliber 25-21 REC is a formed movement (made specifically for this case and this case only). The case is tonneau shaped and solid platinum with dimensions of 32mm wide by 42mm long. Sapphire crystal. Case is water resistant to 30 meters. 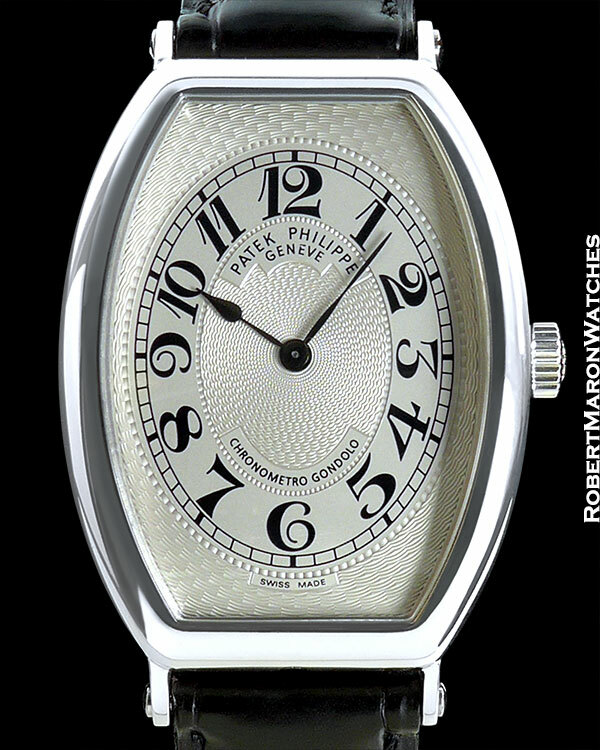 The manual winding Patek Philippe Caliber 25-21 REC features 18 jewels, 142 individual parts, 44 hour power reserve, and is stamped with the Geneva Seal.